These earrings are much nicer than the picture. They are delicate without being fussy. 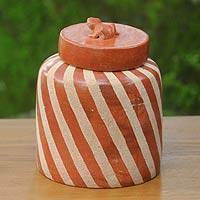 The craftsmanship is first-rate. 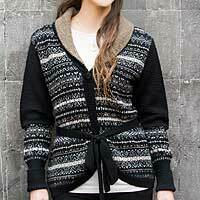 I really love them and will wear them a lot! 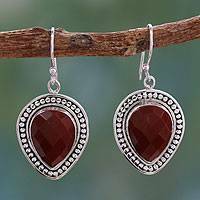 These earrings are very well made, with lots of sliver, and the gem stones are high quality with a lot of color saturation, and are very comfortable to wear. 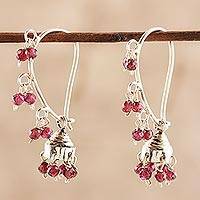 I would recommend these earrings to anyone, there beautiful! The lines are absolutely gorgeous and the colors are a great combination. 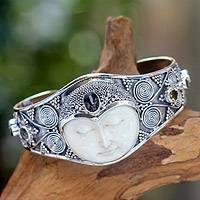 They're light on the ears and I love the little beads. I do have difficulty locking them because I am not used to this type but they are long enough that they can dangle without locking. 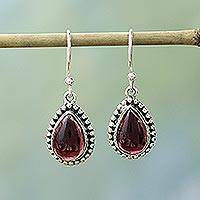 Sterling Silver and Garnet Drop Shape Dangle Earrings, "Radiant Dewdrops"
A symbol of love and devotion, garnet's fiery brilliance is captured in a pair of seductive hand-crafted earrings. 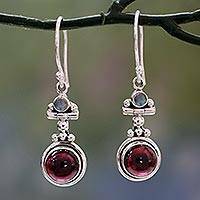 Presented by Neeru Goel of India, the garnets are set and framed in sterling silver. 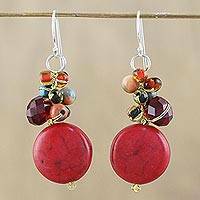 Red Calcite and Glass Bead Dangle Earrings from Thailand, "Red Circles"
Bold circles of red calcite dangle from clusters of colorful glass beads in this wonderful pair of earrings from Thailand. 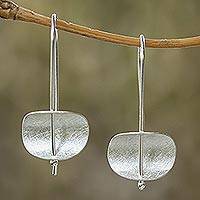 Designed by Nareerat, the earrings dangle from hooks of sterling silver. 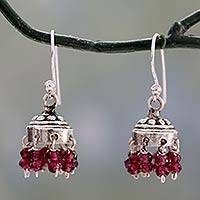 Jhumki Style Earrings with Sterling Silver and Garnets, "Traditional Grace"
Garnet and Rainbow Moonstone Earrings Set in 925 Silver, "Misty Moon"
Rich red garnet glows from a sterling silver sky. Bhavesh in India presents an original pair of dangle earrings featuring the unique presence of rainbow moonstone.